We arrived at Moscow airport to find it hot and sunny. The temperature is around 22oC which means that the warm clothing and rainwear I packed is totally superfluous. The minibus which took us to our hotel led us passed a park with a lake where people were swimming. 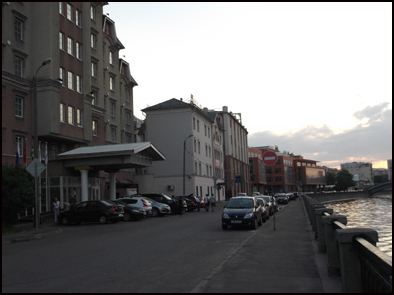 The Katarina Hotel where we are staying overlooks a canal leading off the mighty River Moscova. We unpacked, had a light evening meal then went for a short walk along its concrete banks. I do not know the name of this nearby magnificent church but I hope to find this out when we meet up with our guide tomorrow. We walked back as the sun was setting. 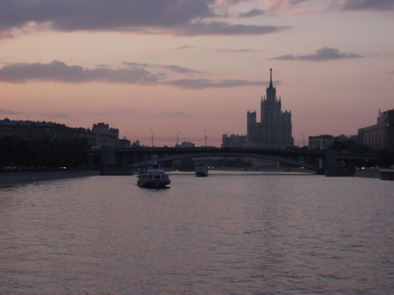 I believe the large building on the horizon is Moscow State University but I should again be able to confirm this tomorrow. 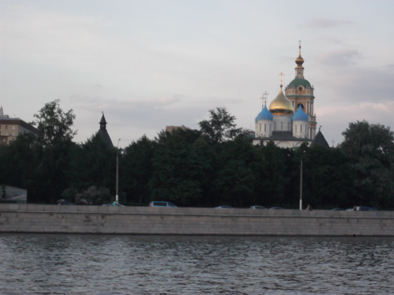 As I was writing this blog at 11 pm (Moscow time) I was interrupted by a superb firework display which I could see from my hotel window emanating from the banks of the river. This was a perfect ending to a great day. You are currently browsing the Peatmore News blog archives for June, 2013.